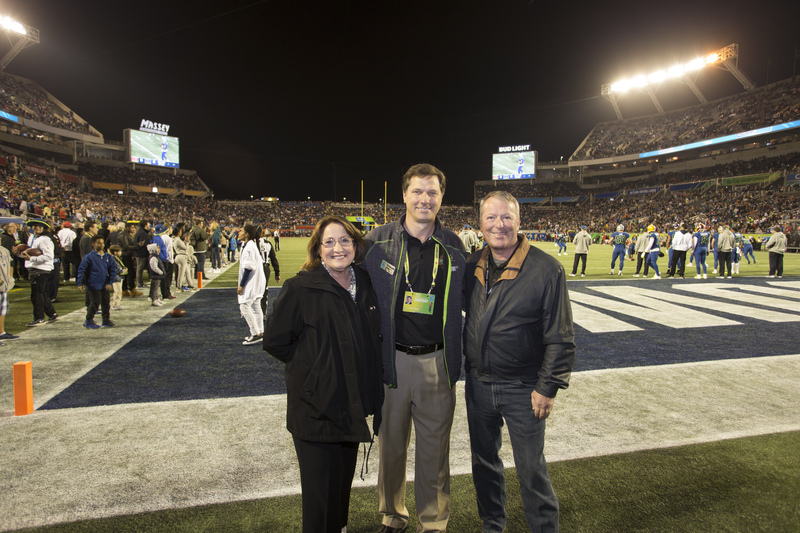 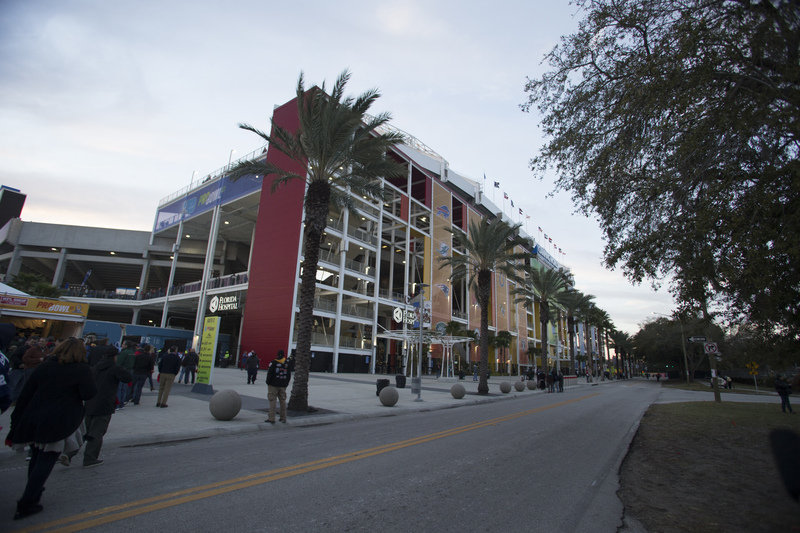 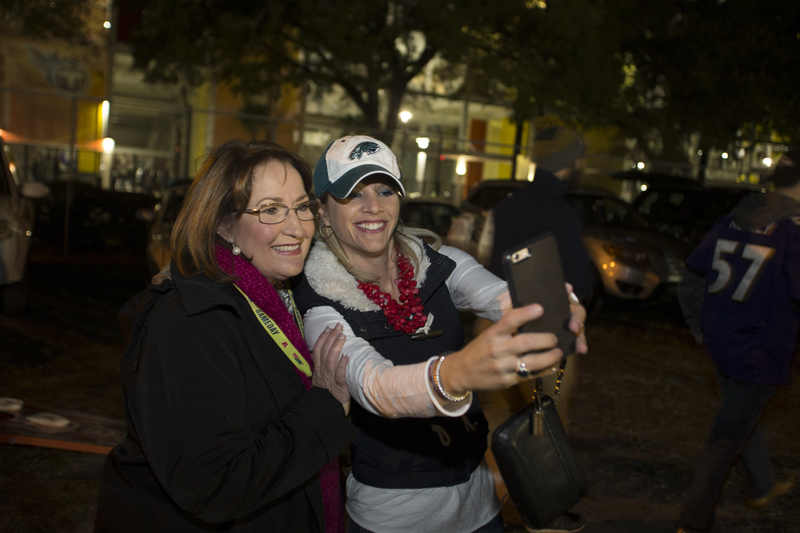 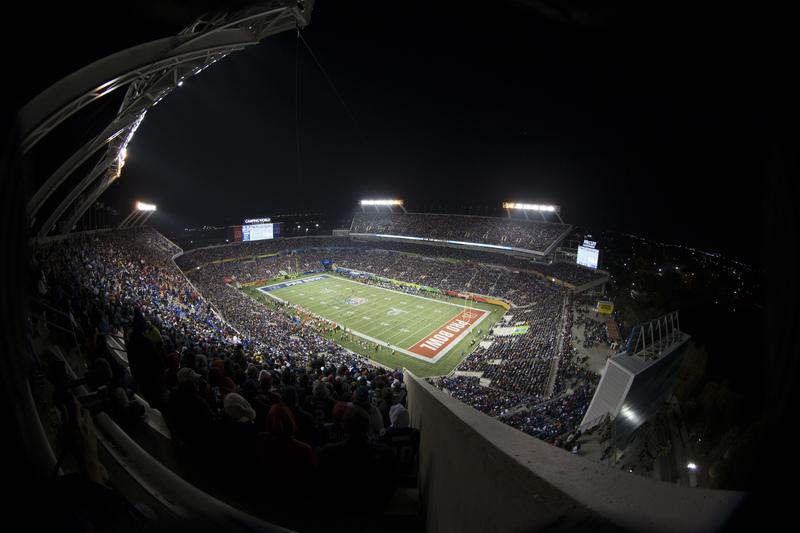 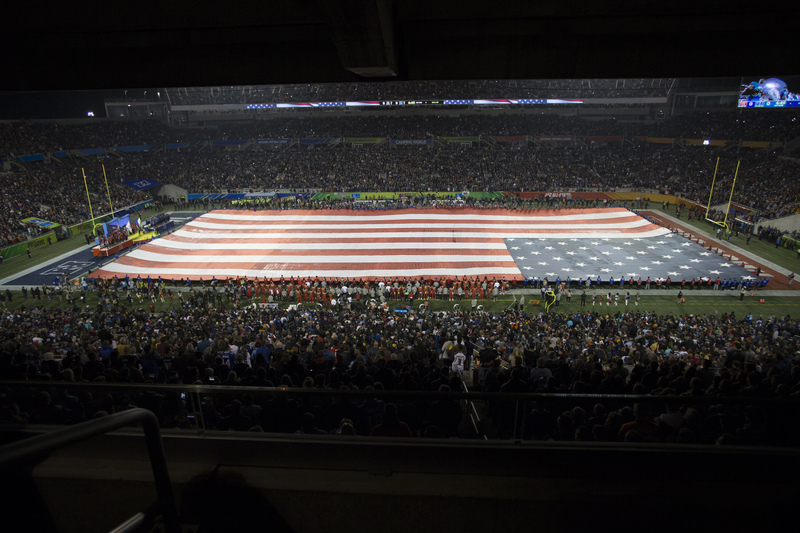 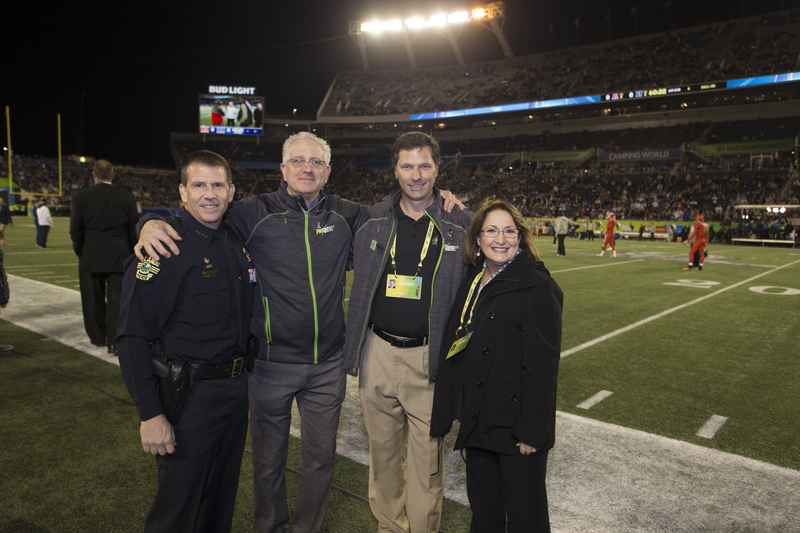 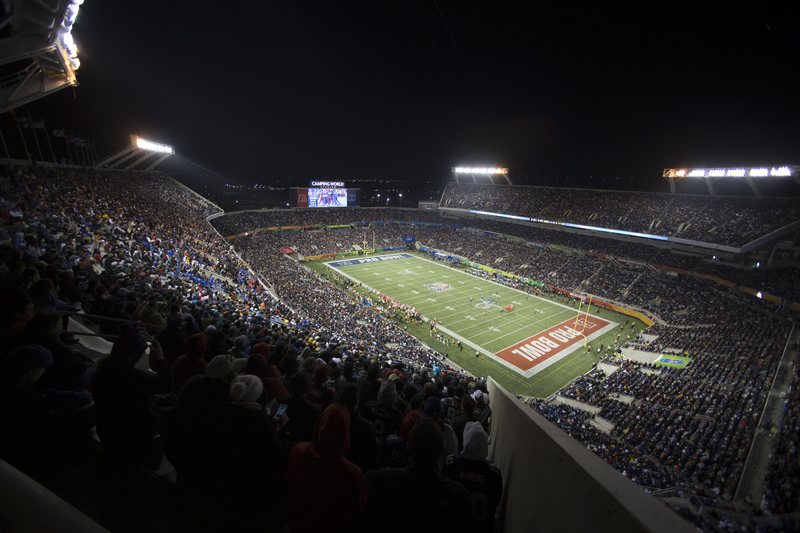 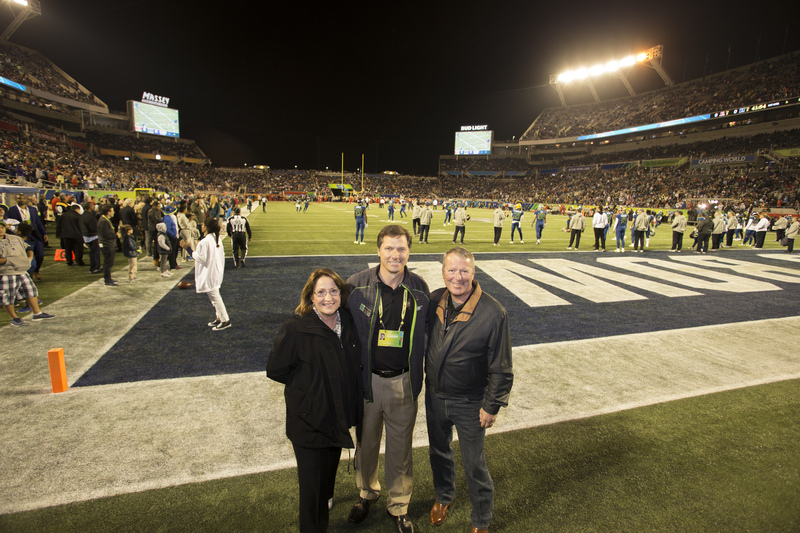 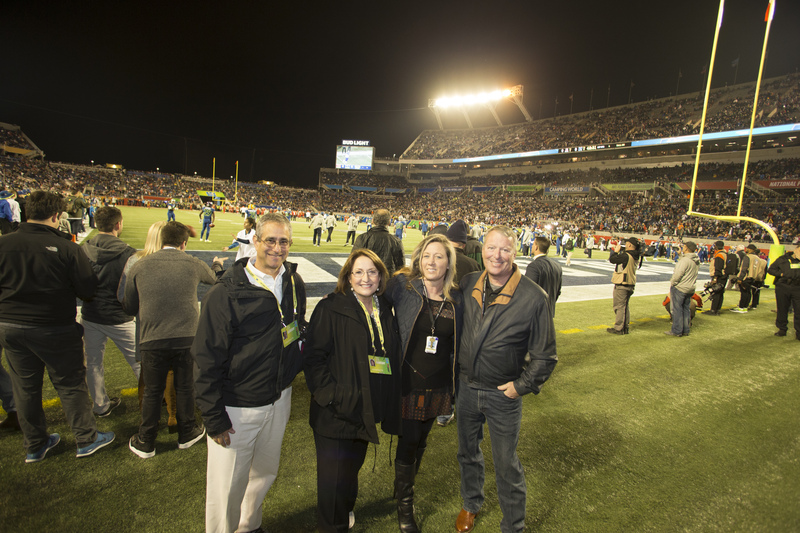 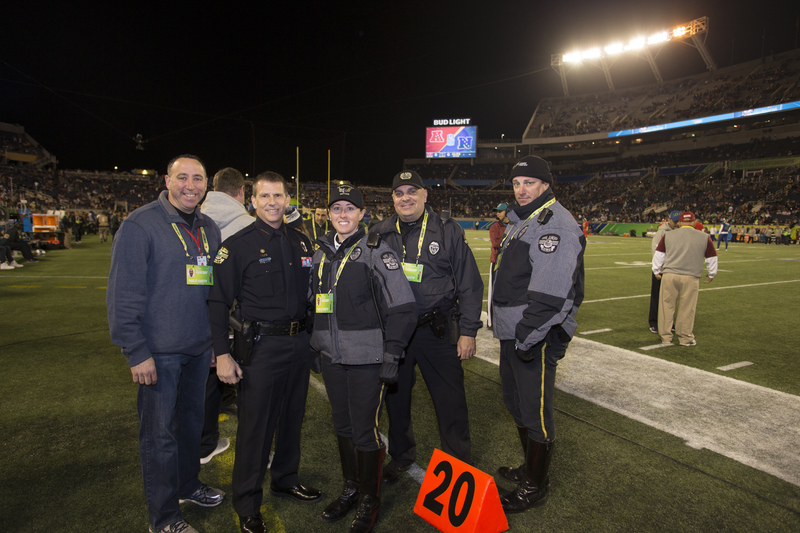 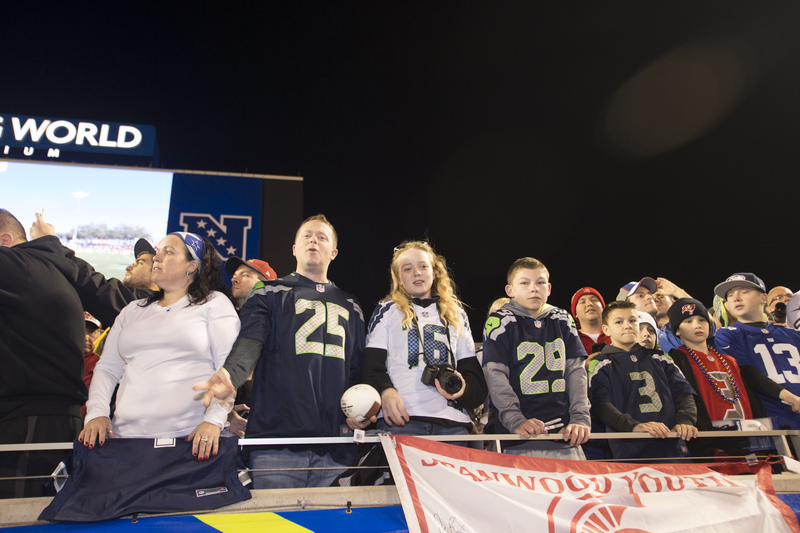 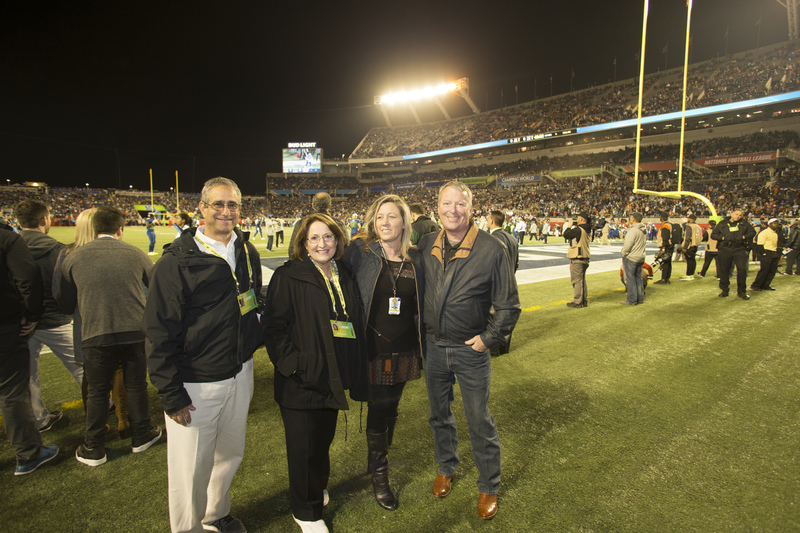 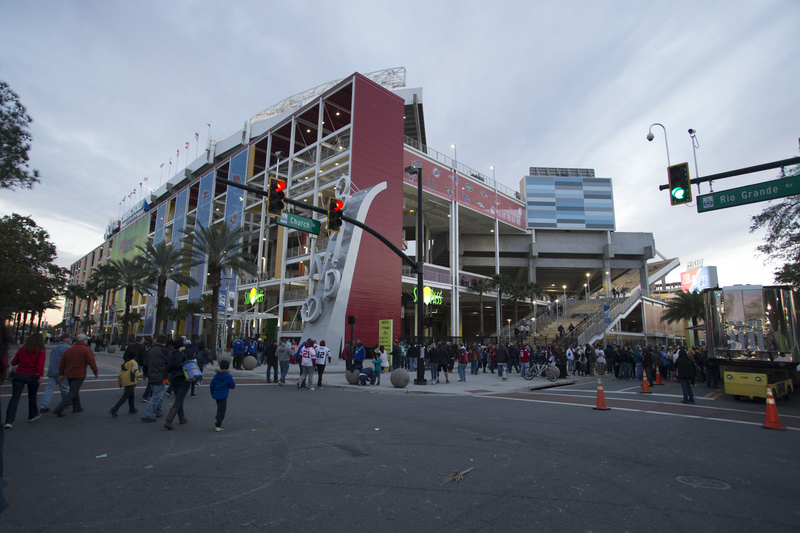 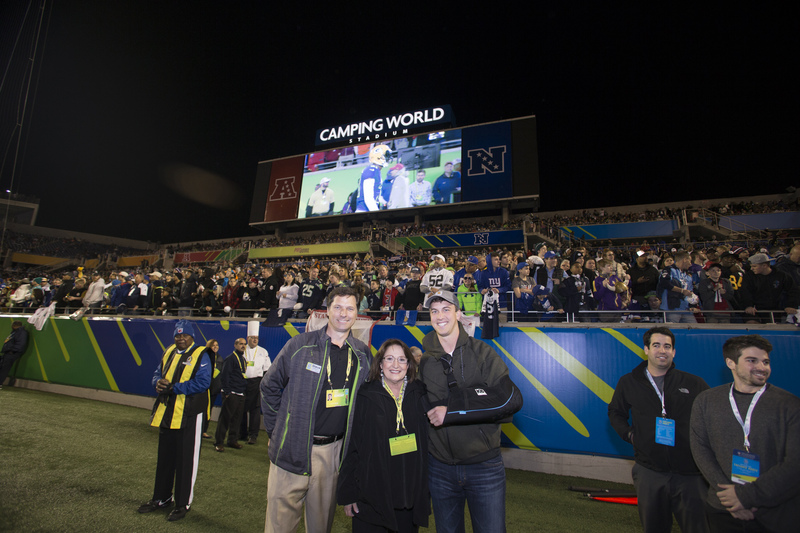 Orange County and Camping World Stadium hosted more than 60,800 fans for the National Football League (NFL) Pro Bowl on Jan. 30. 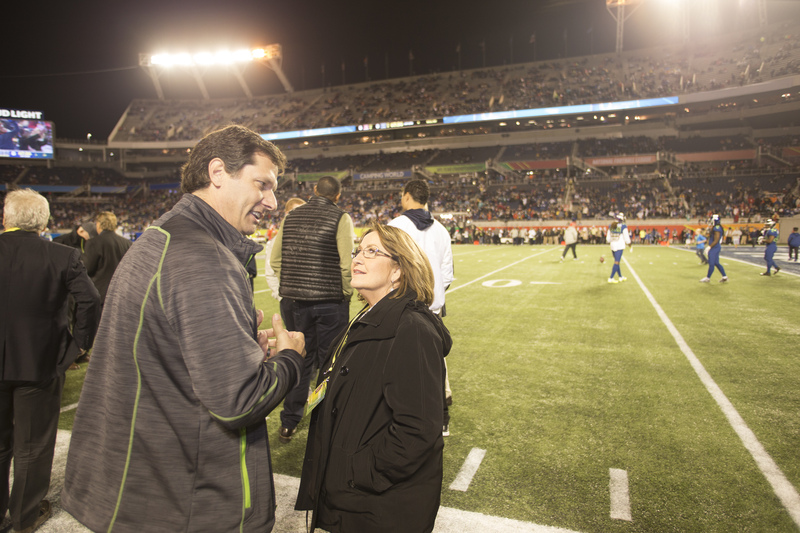 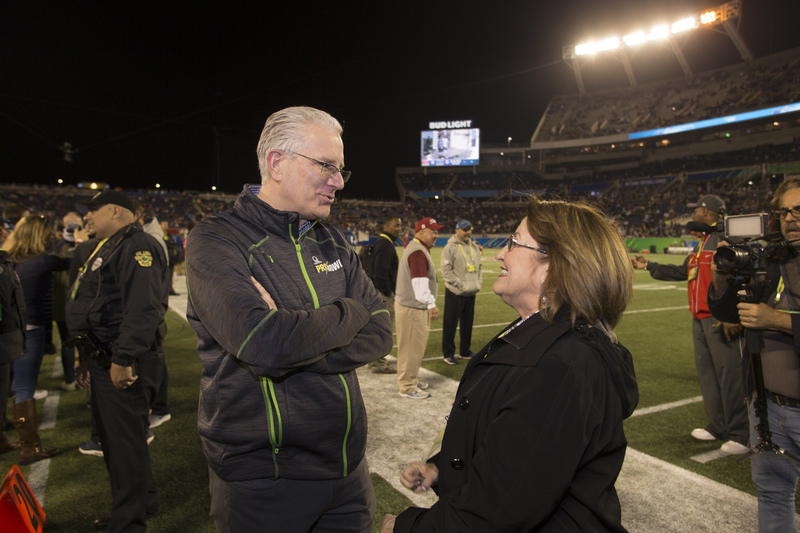 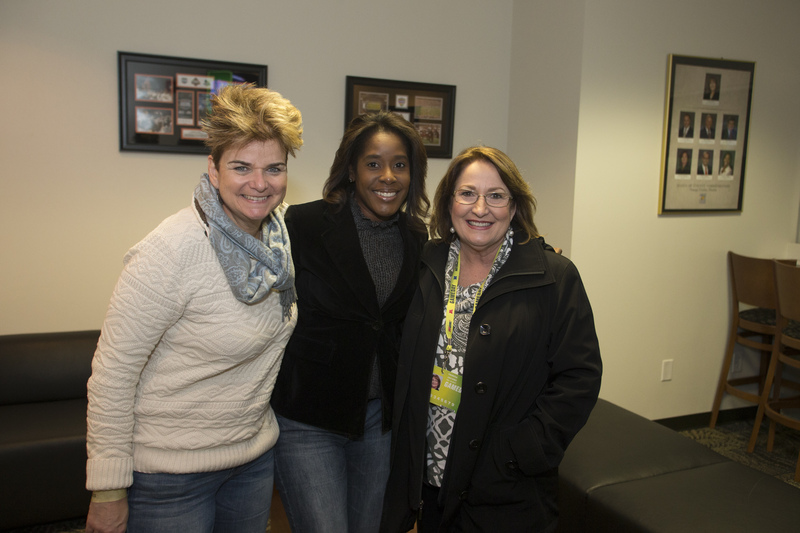 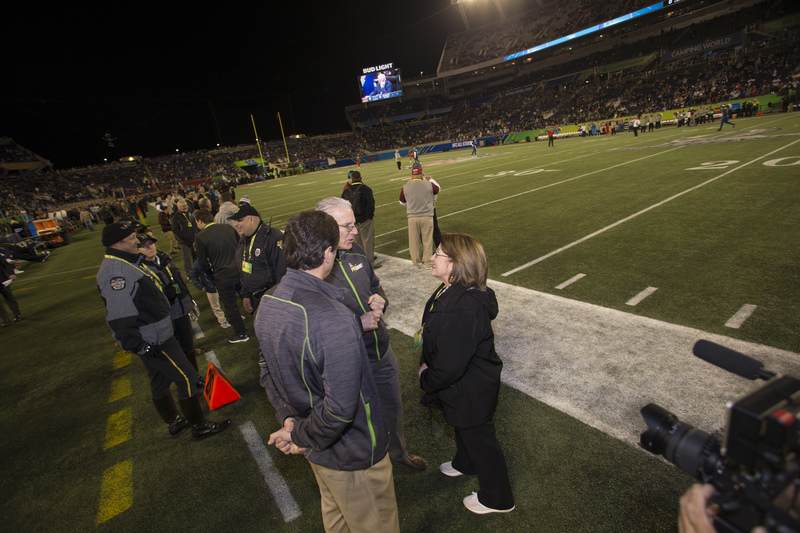 Orange County Mayor Teresa Jacobs joined the celebration as the American Football Conference (AFC) competed against the National Football Conference (NFC) in a matchup of skills from the best all-star players in the NFL. 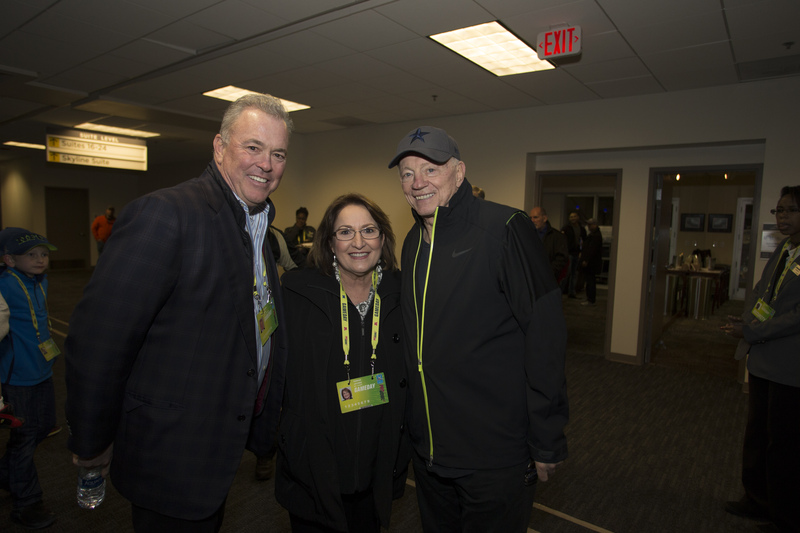 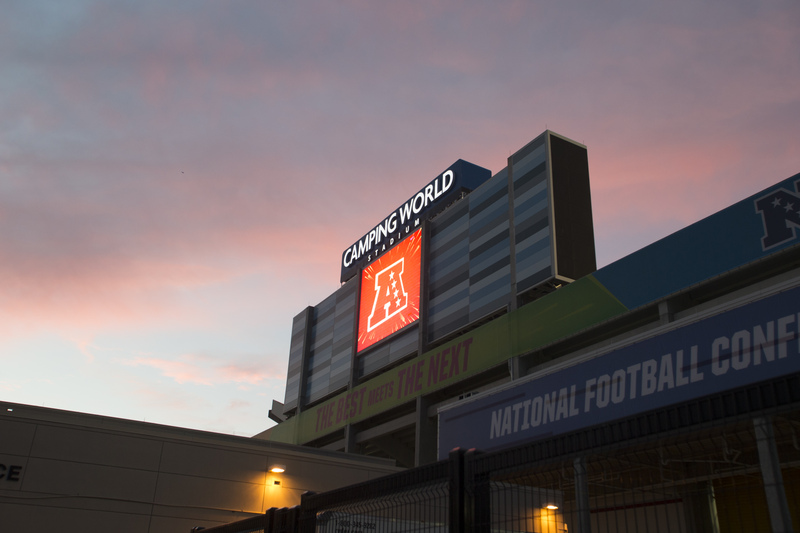 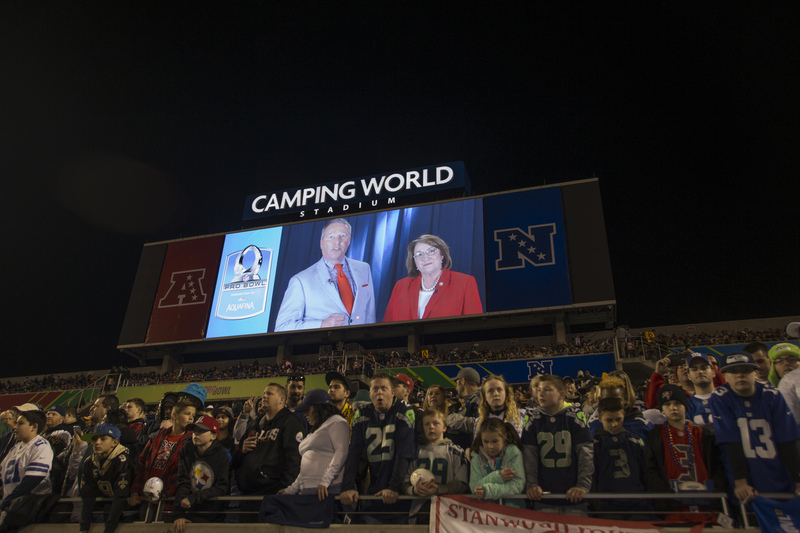 In 2016, Mayor Jacobs, City of Orlando Mayor Buddy Dyer, leaders from Walt Disney World Resort’s ESPN Wide World of Sports and the NFL announced that Camping World Stadium would host the Pro Bowl for two-years, with an option for a third. 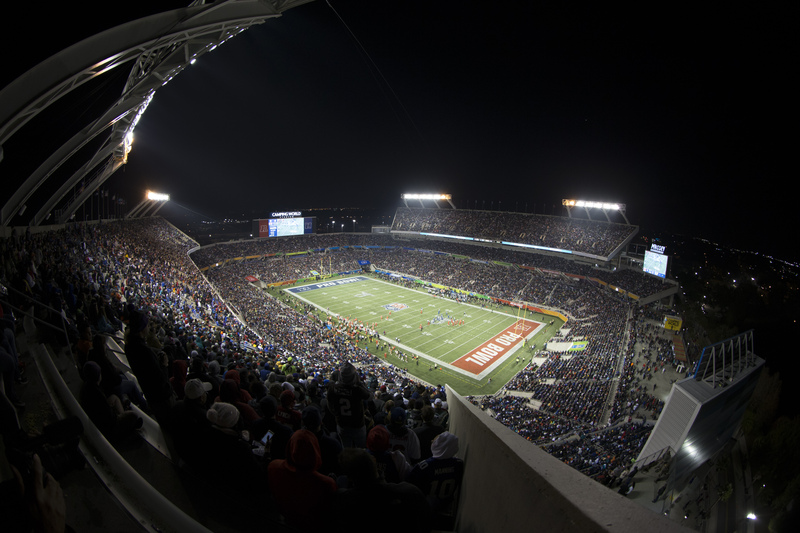 Since 1979, nearly every season of the Pro Bowl was held at Aloha Stadium in Honolulu, Hawaii. 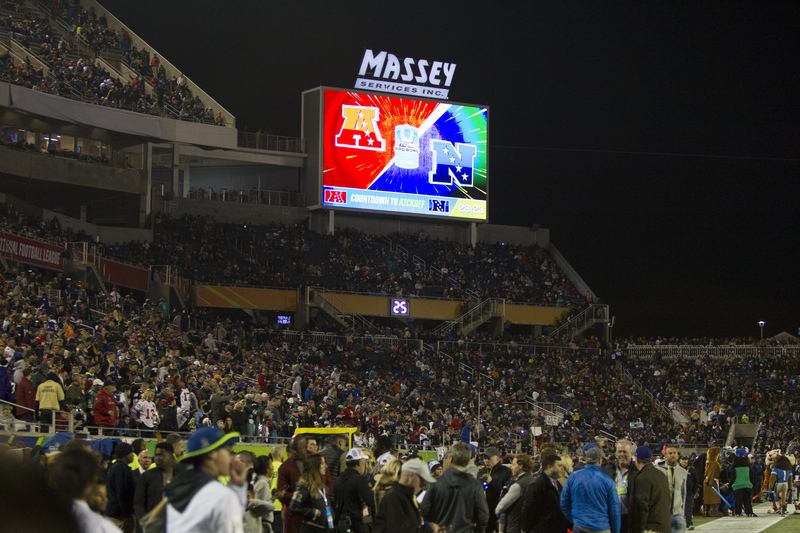 This was the first time Florida has hosted a Pro Bowl since 2010. 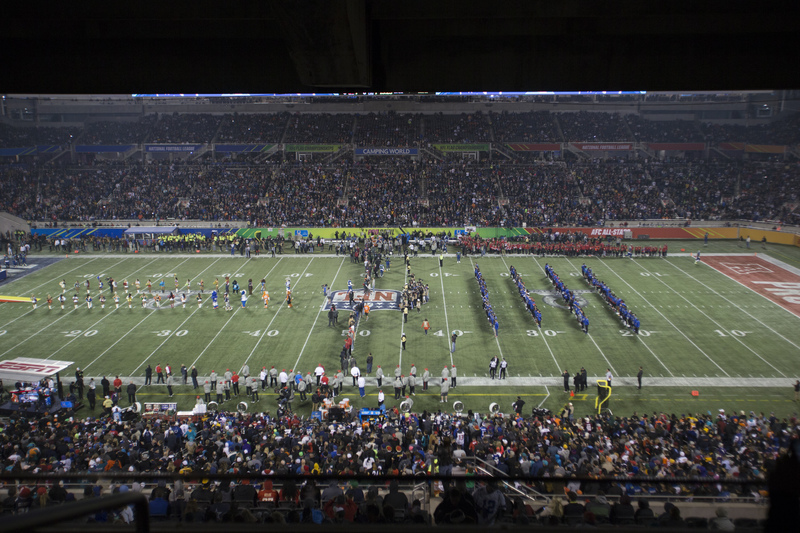 Based on previous games in Hawaii and Sun Life Stadium in Miami Gardens, media reports have estimated the economic impact of the Pro Bowl in Orlando at $25 million. 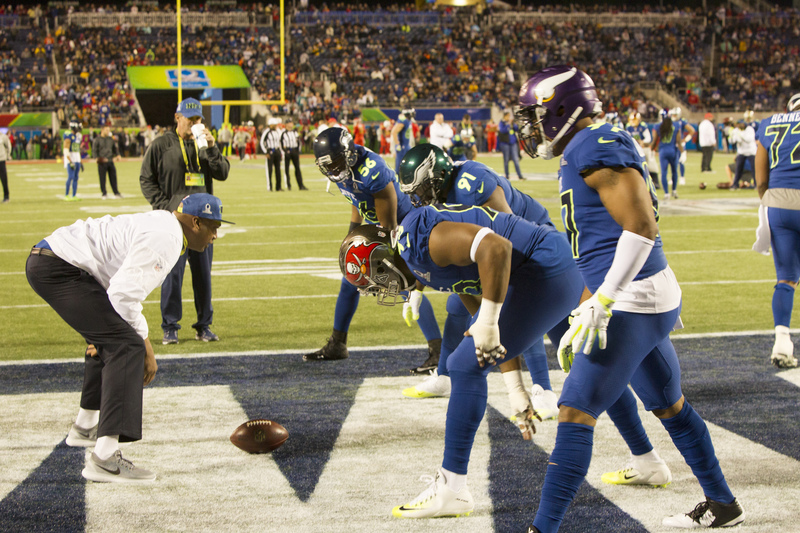 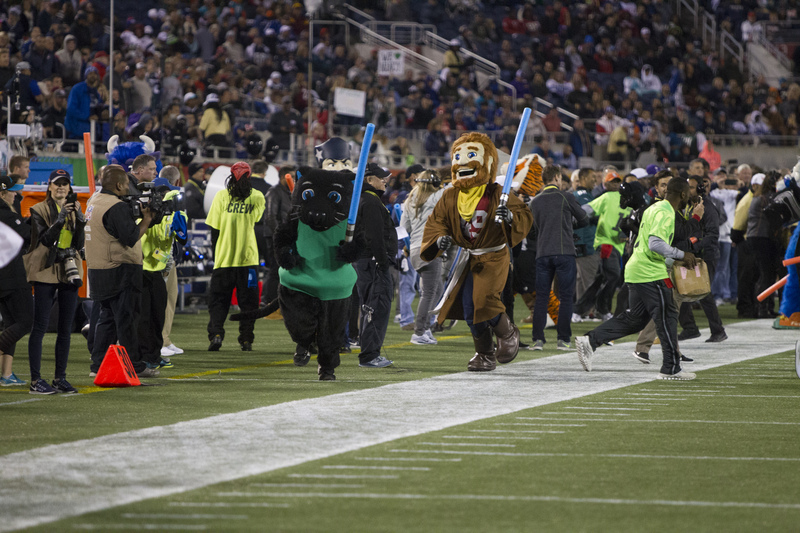 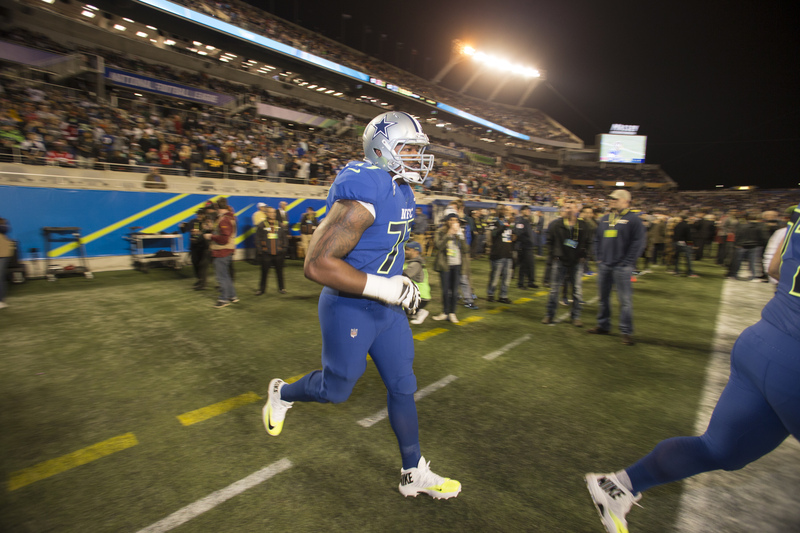 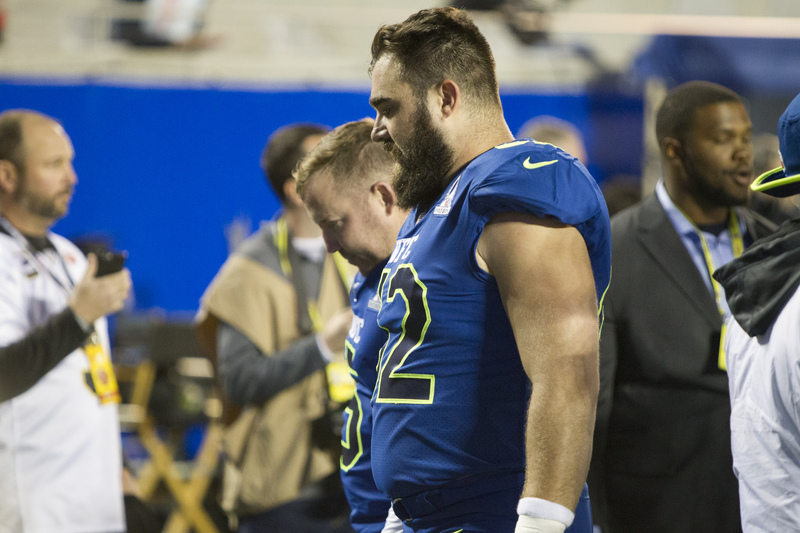 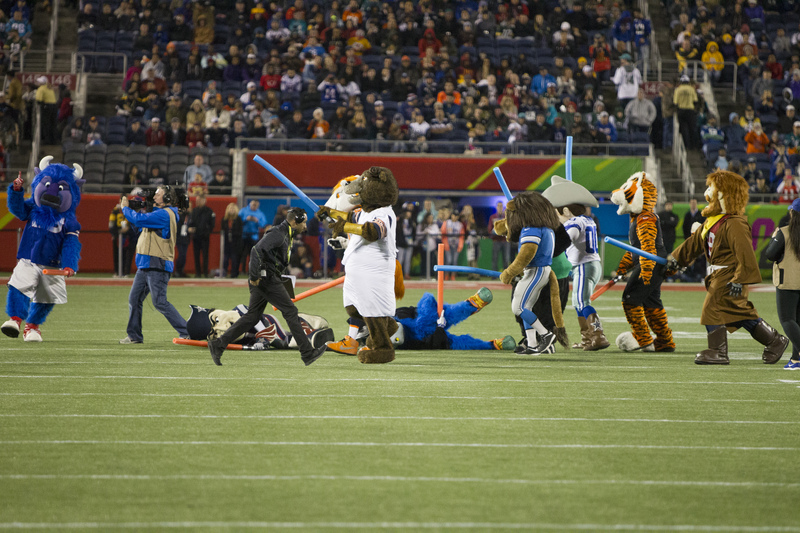 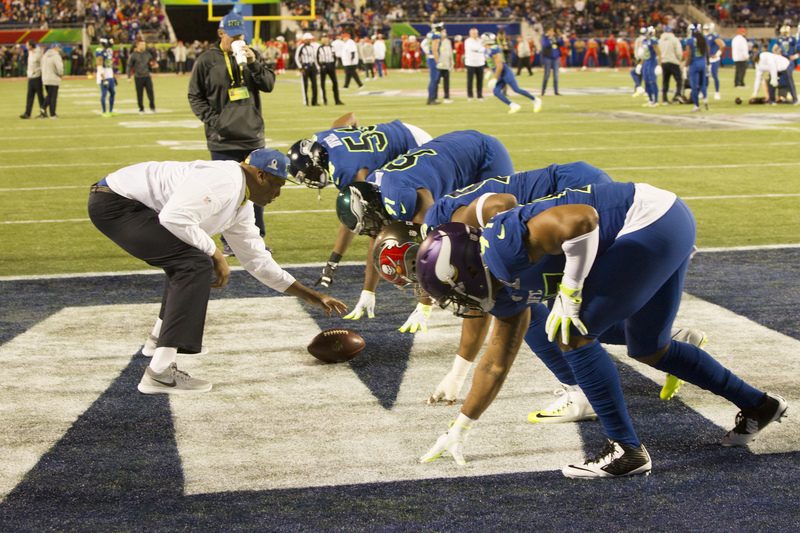 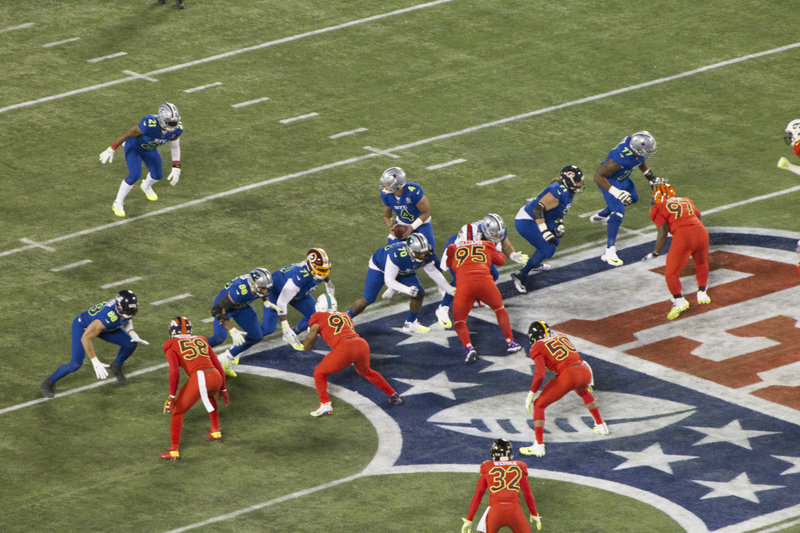 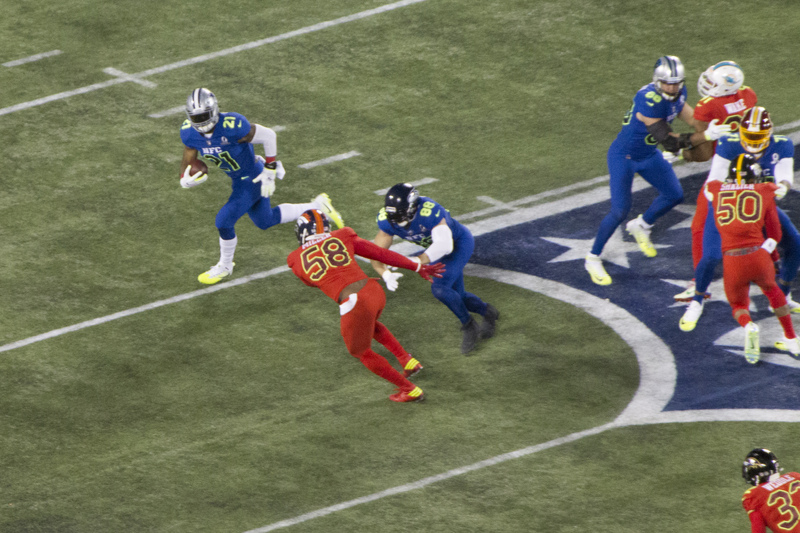 The Pro Bowl brought together fans and representatives from 30 teams, featuring a return to the traditional Pro Bowl format where the AFC and NFC competed against each other. 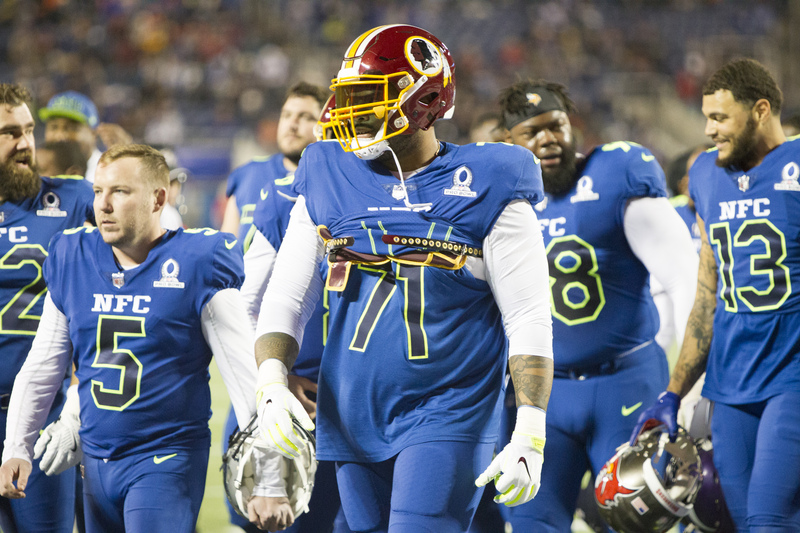 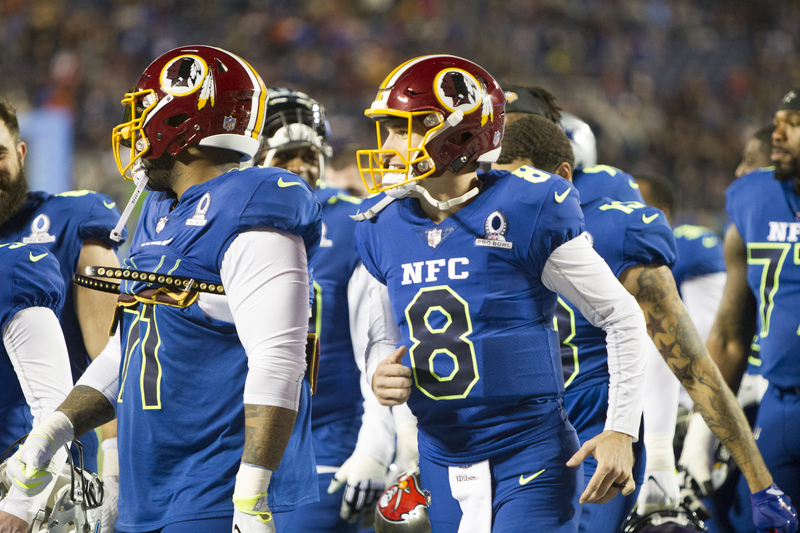 The AFC’s 20 to 13 win over the NFC earned the winning Conference a $61,000-per-player take-home prize, while the NFC players each took home $30,000. 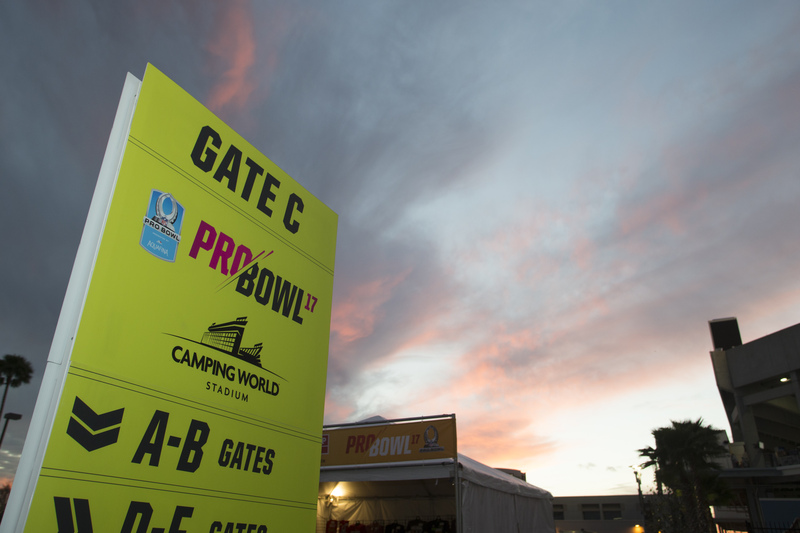 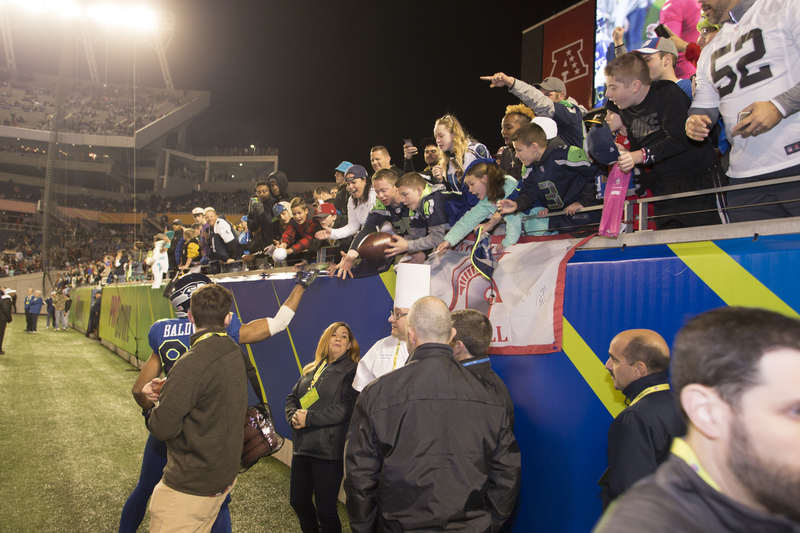 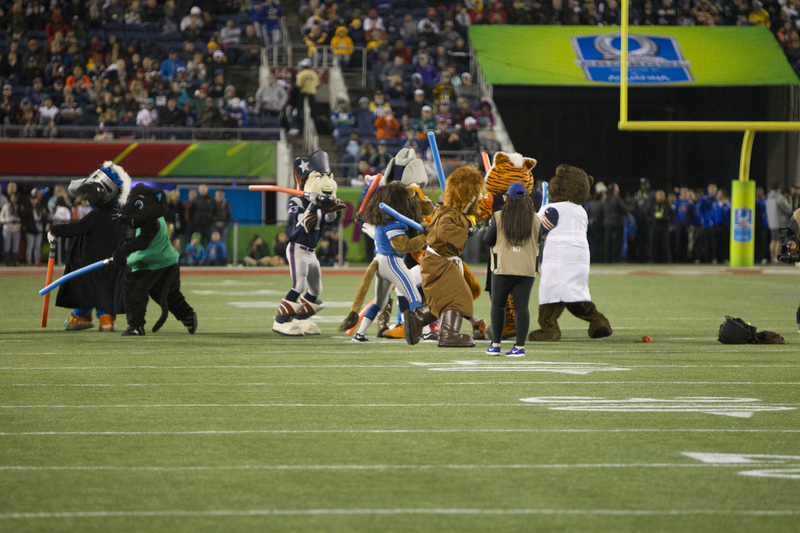 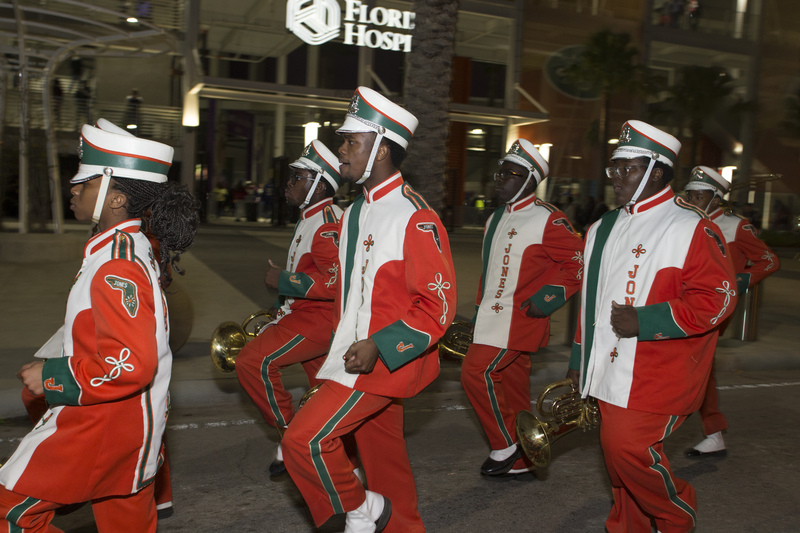 Leading up to the event, Pro Bowl Week celebrated all levels of football – from youth to high school – and provided fans the opportunity to watch Pro Bowl practices at the ESPN Wide World of Sports Complex. 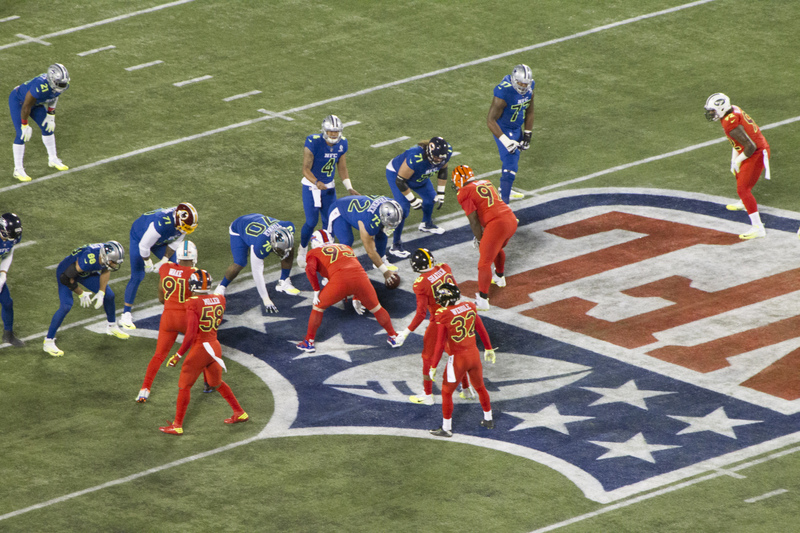 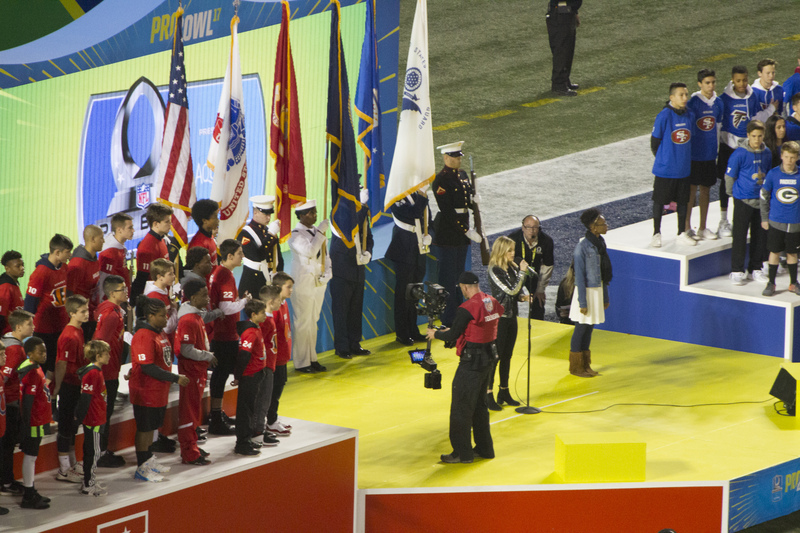 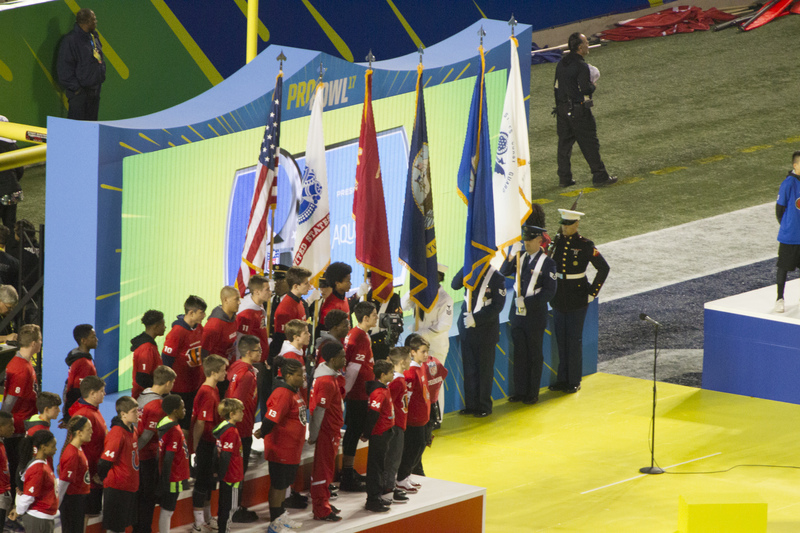 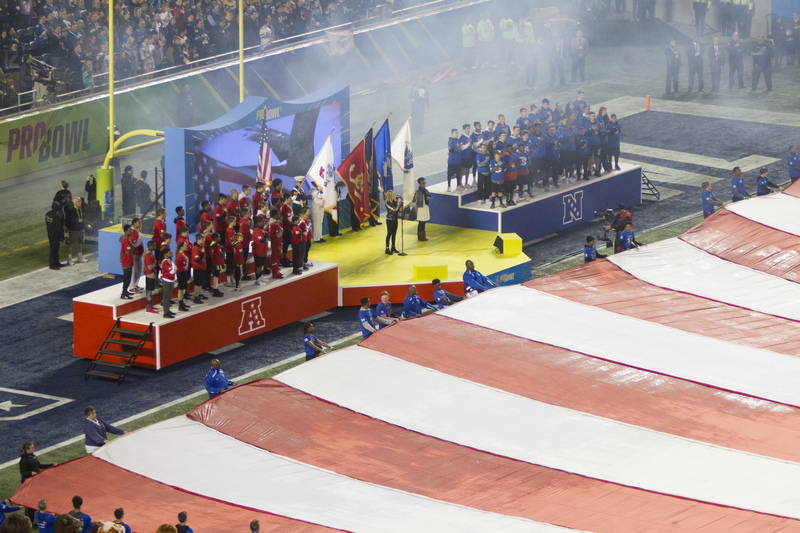 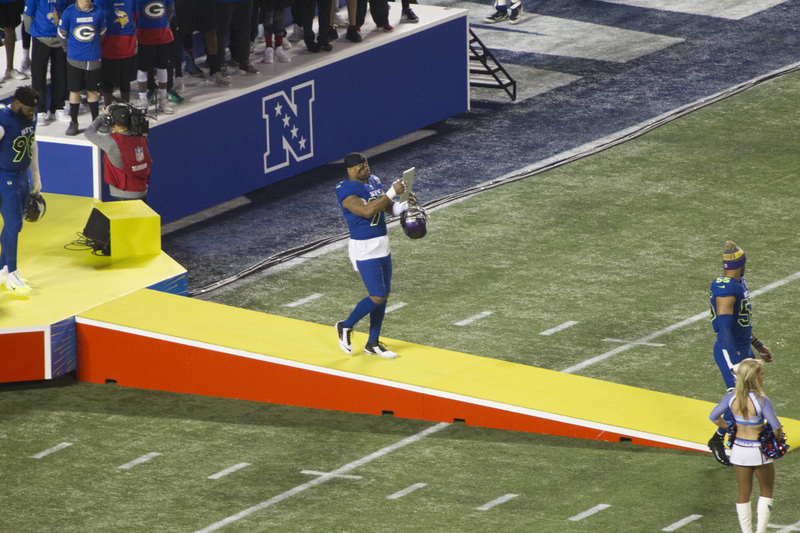 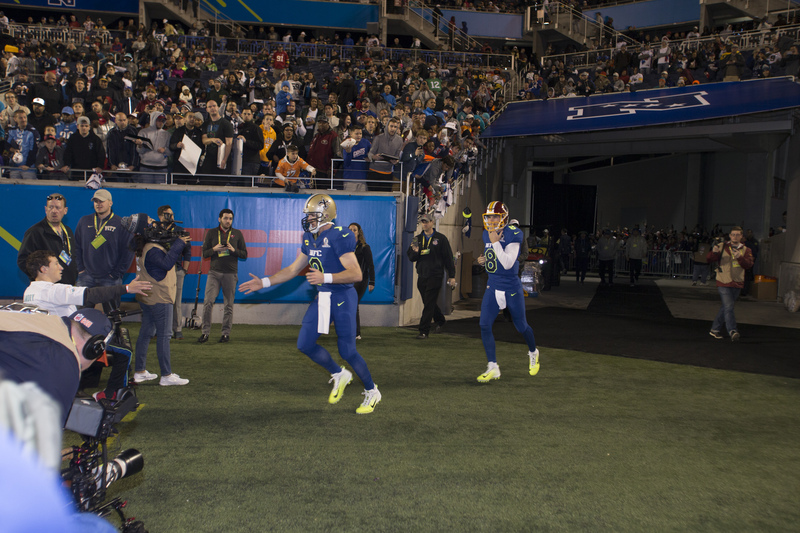 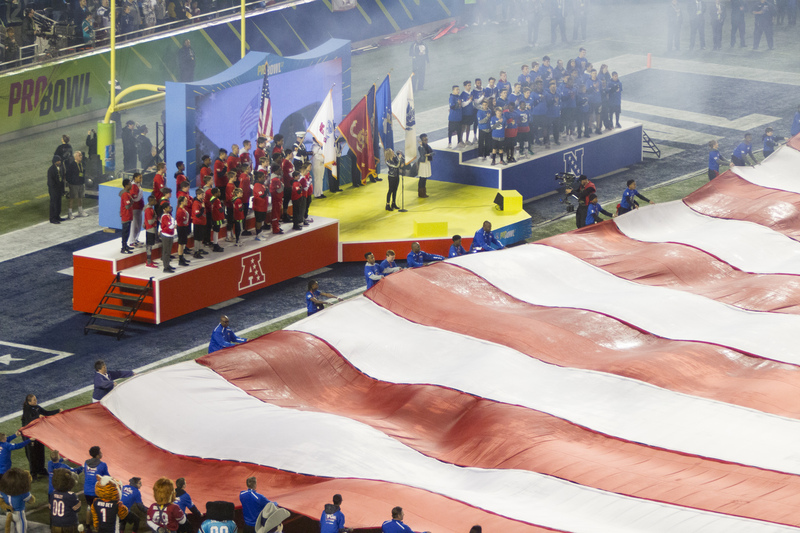 The NFL Pro Bowl Experience, held the week leading up to the big game, was a free festival that featured interactive games, a virtual reality experience and a photo opportunity with the Pro Bowl Trophy to excite fans for the game. 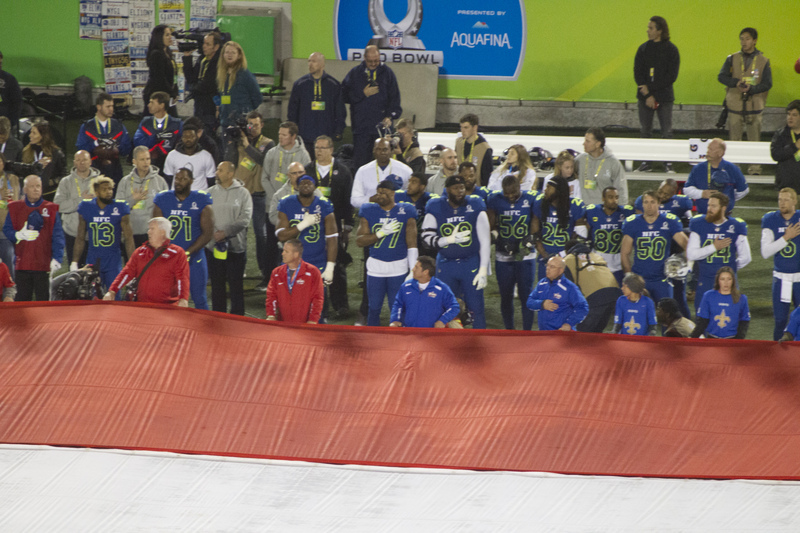 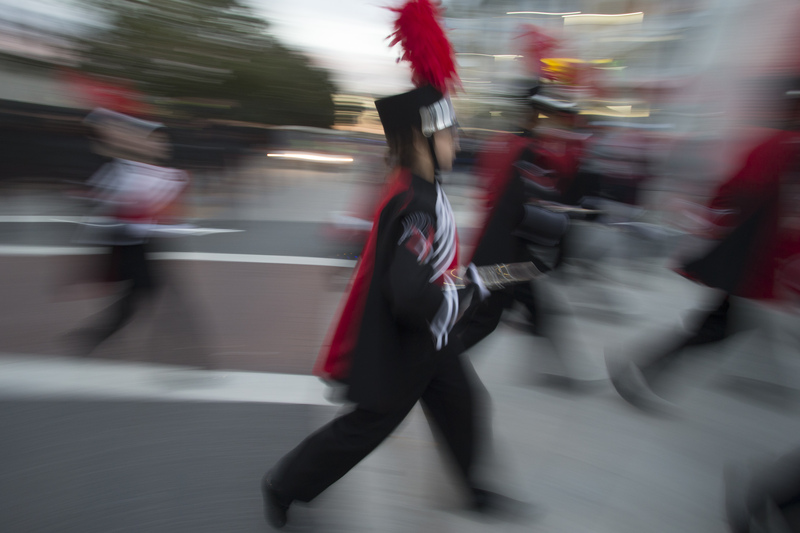 A celebratory parade down Main Street, U.S.A., at Walt Disney World Resort’s Magic Kingdom Park, was held with Mickey Mouse and Pro Bowl athletes in attendance as a part of Pro Bowl Week. 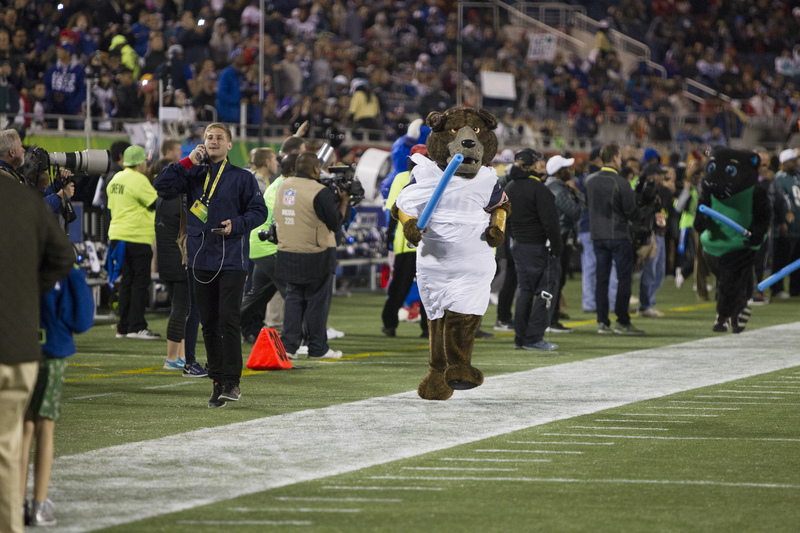 The week also included a Pro Bowl 5K Run on Saturday at Epcot. 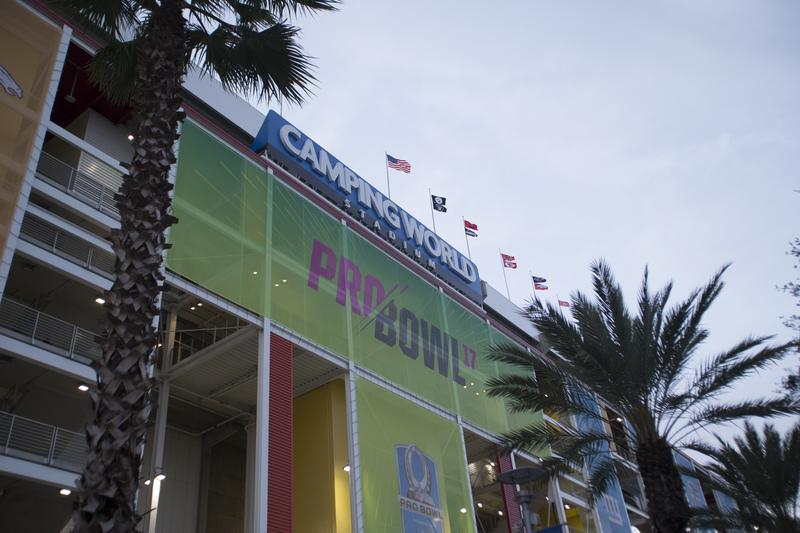 This isn’t the first NFL game hosted at Camping World Stadium. 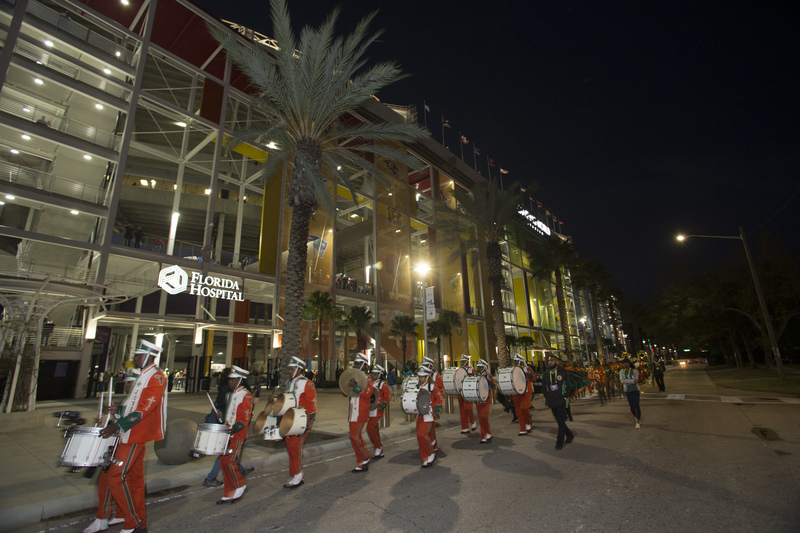 In August 2016, the Miami Dolphins faced off against the Atlanta Falcons at the neutral-site for an NFL preseason game. 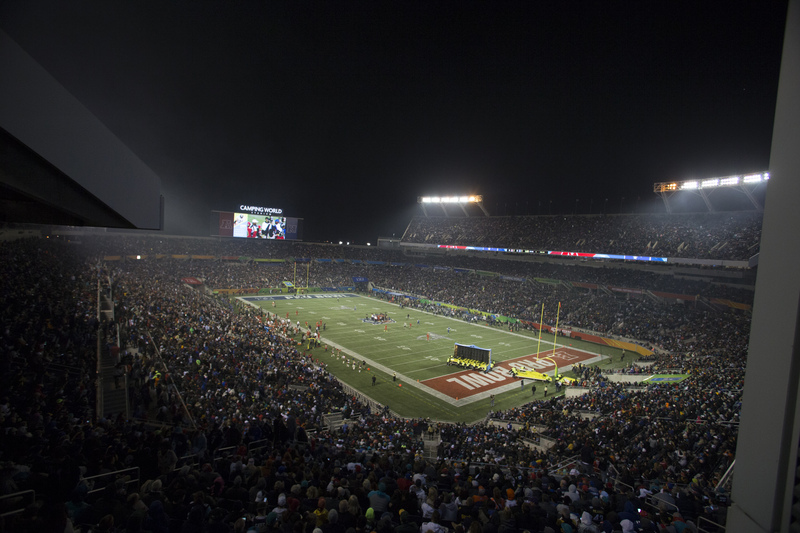 It was the first preseason NFL contest in Orlando since 1996. 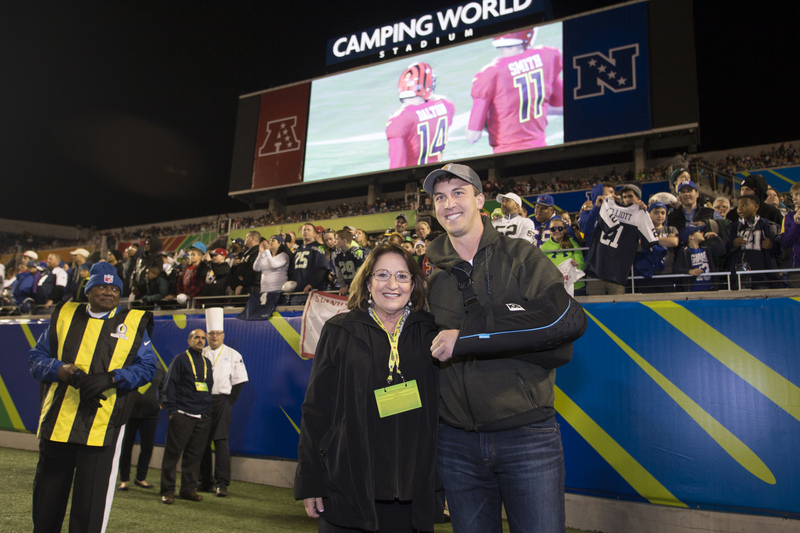 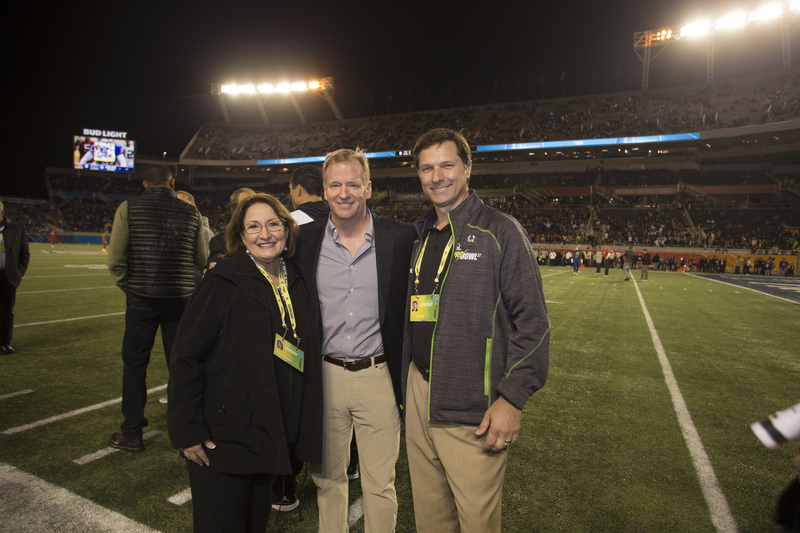 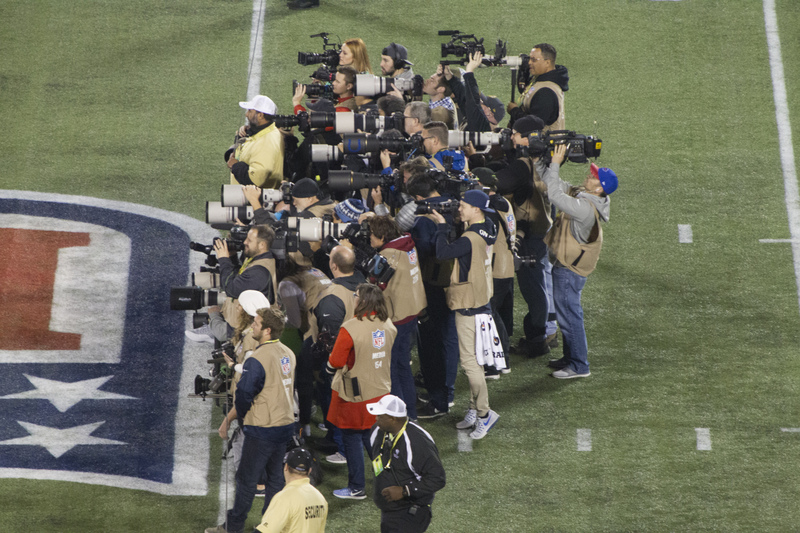 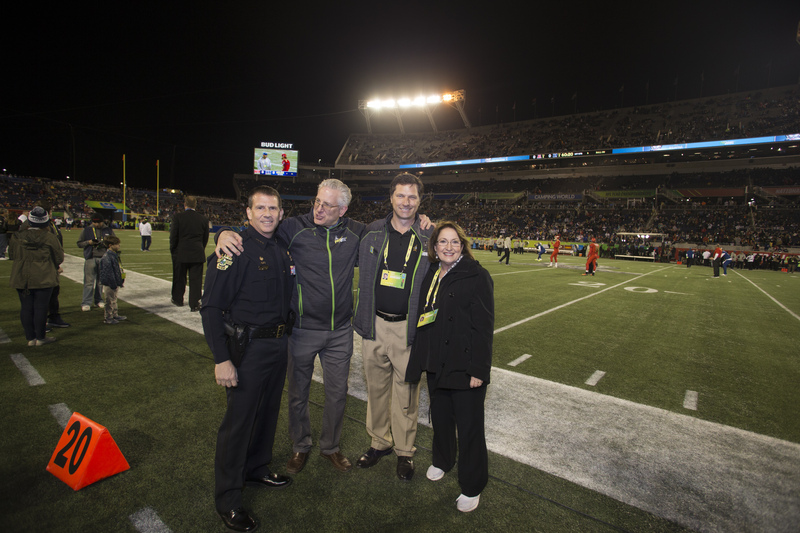 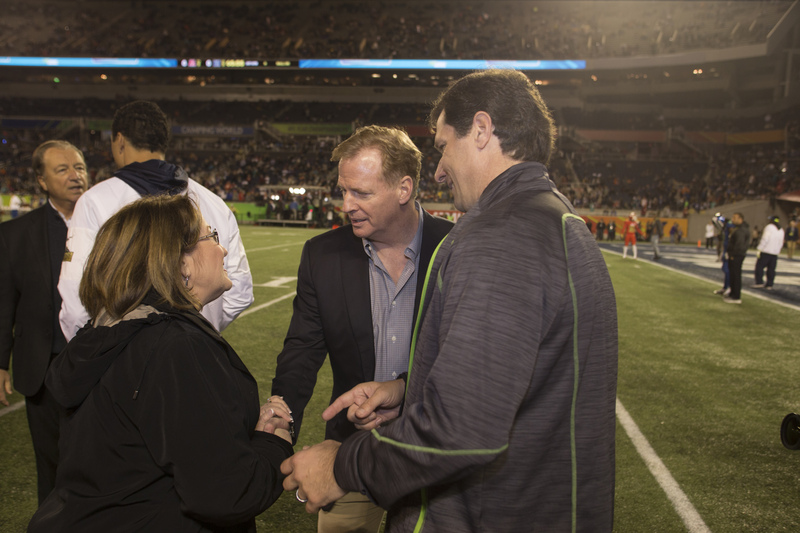 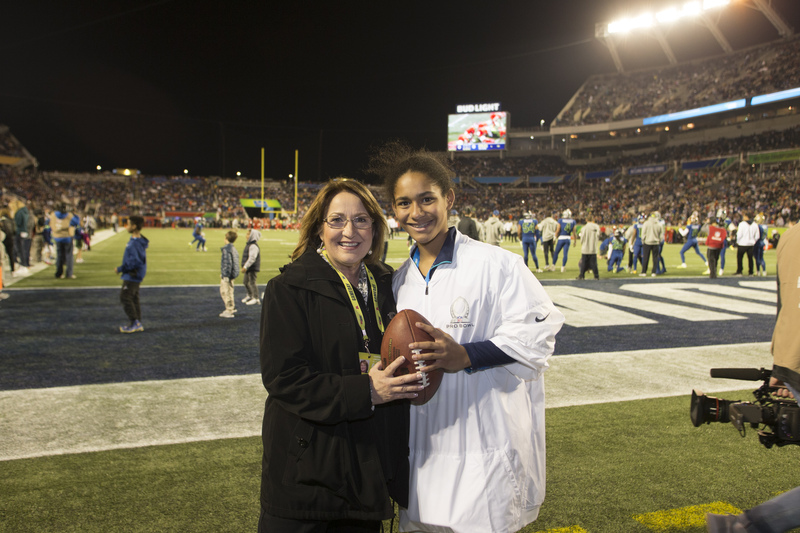 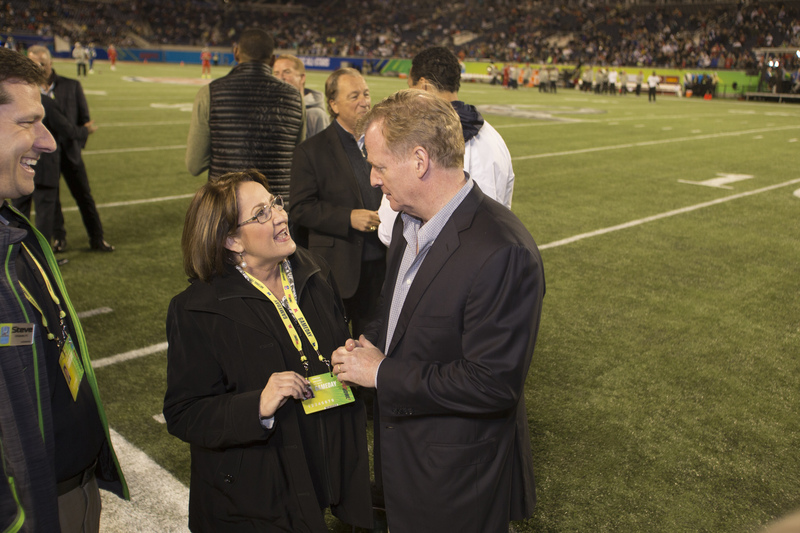 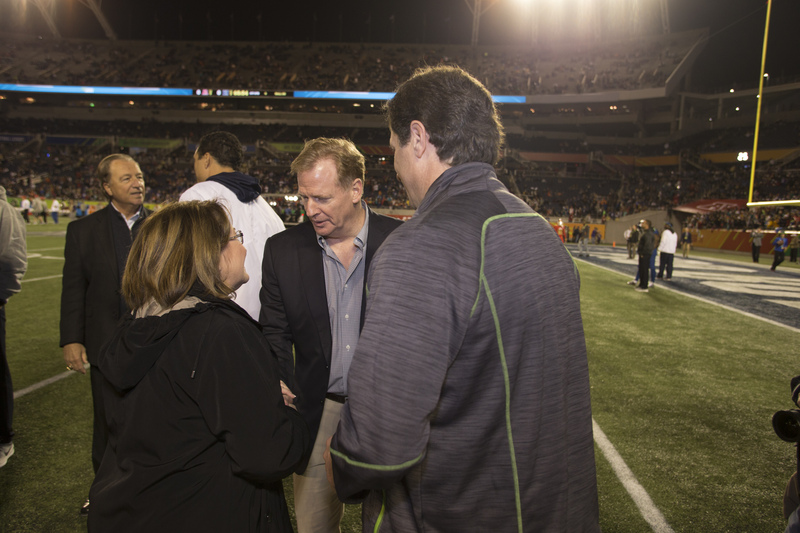 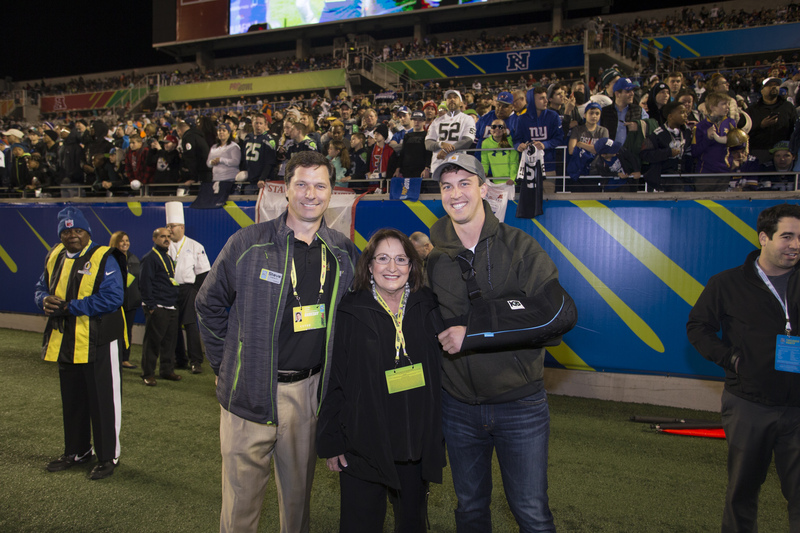 To view photos from the 2017 NFL Pro Bowl, visit Mayor Jacobs’ Flickr album.